Auum Pets is a Natural Supplement for your pets. 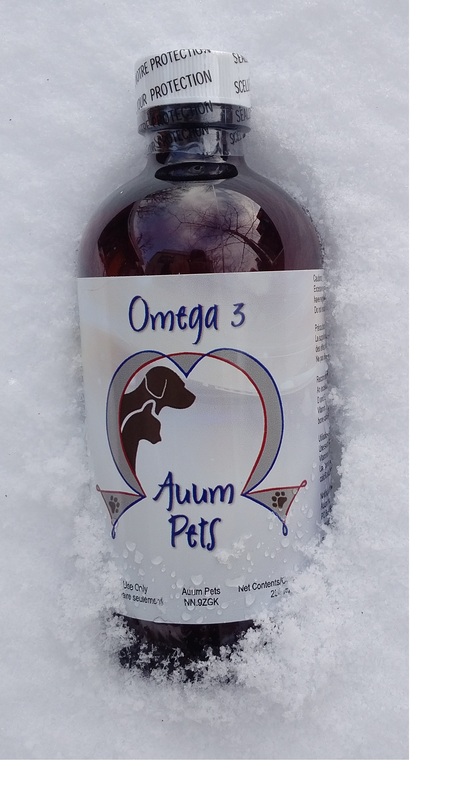 This Auum Pets supplement, an Omega-3 formulation, has been specially designed for dogs and cats. Not only does it provide the necessary balance of Omega-6:Omega-3 ratio, it has vitally important fat soluble Vitamins A, D and E. It is completely “fish oil free”. 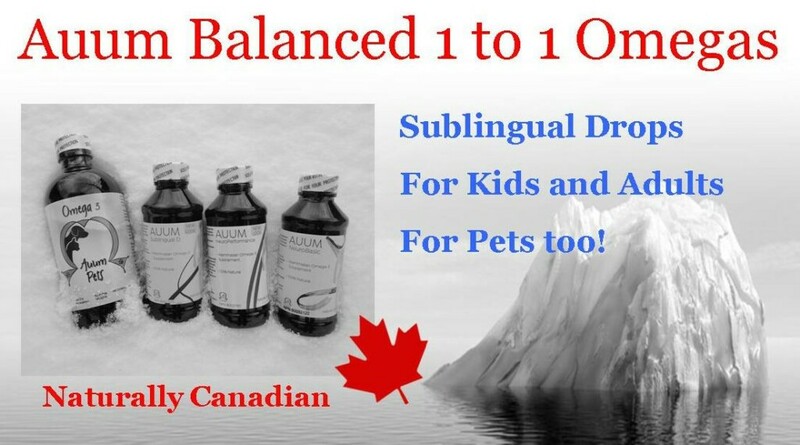 Auum Pets is fashioned after the original diet of the Canadian Eskimo Dog. These special sled dogs led Admiral Perry to discover the North Pole in 28 days. They are capable of pulling 13 hours a day in -40C temperatures. Because their natural raw meat diet is enriched with seal blubber, they consume massive amounts of Omega-3 and associated fat soluble vitamins A, D and E. Their extreme endurance, staggering strength and the three beautiful layers of rich fur, are testaments to a diet rich in mammalian Omega 3. The ideal omega 3 fat soluble supplement for both dogs and cats! For more product information on Auum Pets click here. Dr. Dadson operated Wingrove Veterinary Services (Guelph) for thirty years. He provided mixed animal services to the surrounding area becoming experienced in soft tissue as well as orthopedic surgery, diagnostic ultrasound, provincial emergency meat inspection, and all aspects of a full service veterinary clinic. He organized health care and procedures for one of the first Elk farms dedicated to the collection of Elk velvet and was the vet of record for the largest importer / exporter of reptiles in Canada providing regulatory backup and supplies. 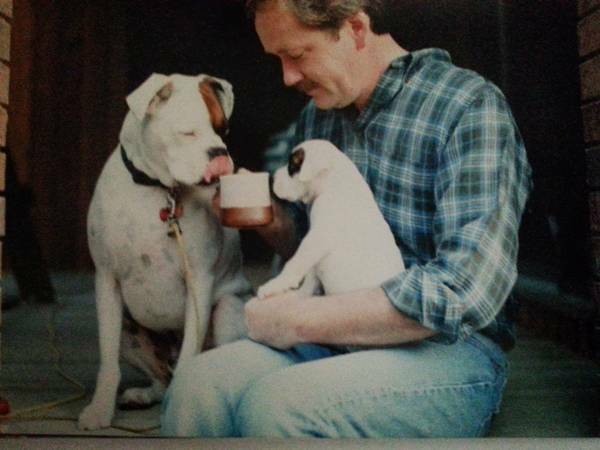 He became known as “the Boxer Vet” due to providing services to one of the premier Boxer breeders in North America. After selling his practice Dr. Dadson operated a mobile practice providing care to dogs and cats in their owner’s homes. He has investigated treatment protocol for degenerative myelopathy (DM). DM is an ascending paralysis of dogs, which appeared as a new entity in his final year at his Wingrove practice. His continuing clinical investigations with Auum Pets formulations, beginning in 2012, resulted in a written paper outlining his parallel observations and assessments reflected in both animal and human patients using the Auum omega-3 supplements. Although not yet published it was referenced at the University of Toronto conference on Alternative Methods for Treating Autism and ADHD in Children.